World War 2 was all about fighting with guns, bombs and unguided rockets. Weapons that could reach over long distances were nonexistent. 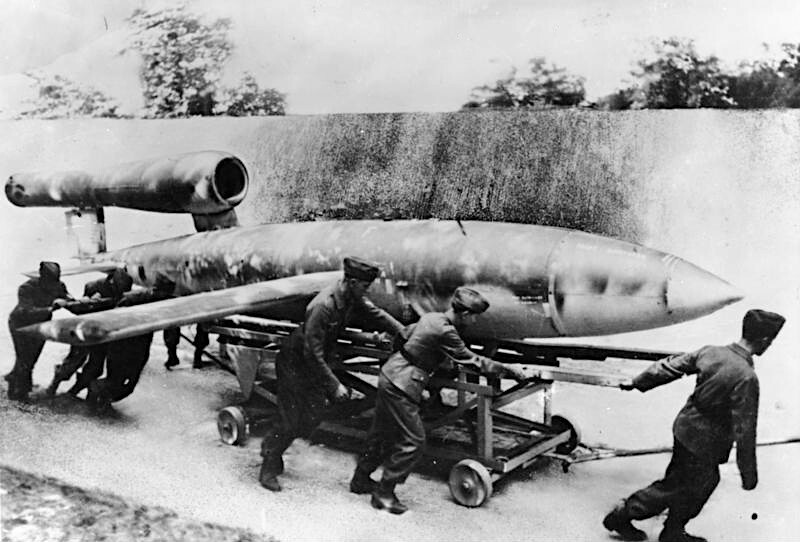 Hitler, enraged by the British bombing of Germany ordered the Vengeance weapons to be developed for use against his enemies. 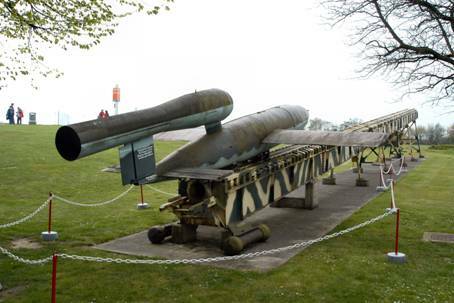 This gave birth to the V1 flying bomb and the V2 ballistic missile. These weapons were deployed in large numbers and used extensively. They terrorized the population and caused a lot of damage. But did nothing to change the outcome of the war. The allies did their best to destroy these weapons on the ground before they could be fired. 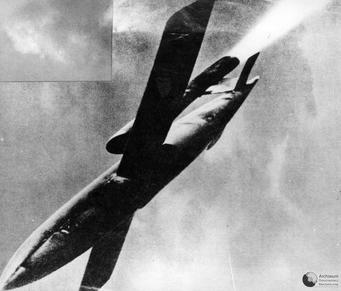 The V1 has the distinction of being the world’s first operational cruise missile. It had its first flight in 1942 and was being used against Britain in large numbers by 1944. It had a range of 250km, carried an 850 kg warhead, and flew at a speed of 640 km/hr. It was propelled by a pulse jet engine which made a distinctive sound and resulted in the nickname “Buzz bomb”. The guidance of the V1 was provided by a simple autopilot which used a gyroscopic guidance system. 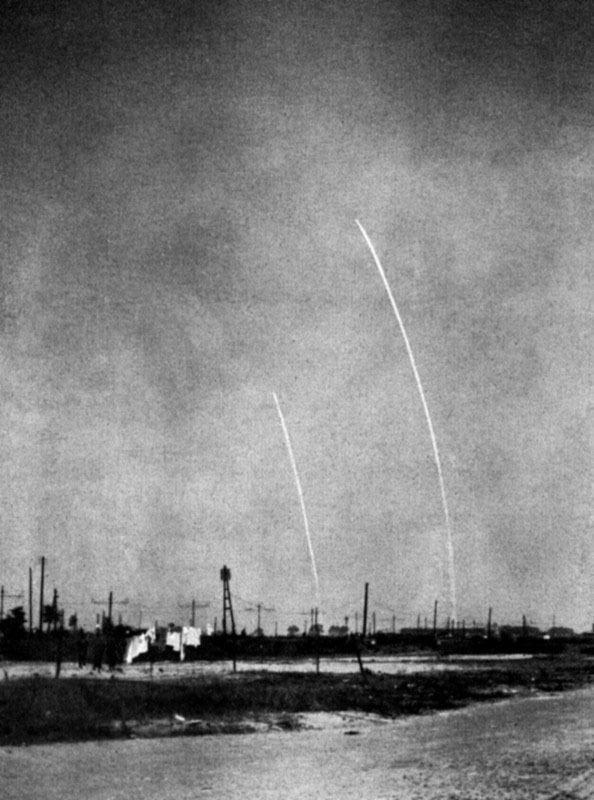 The V1s were fired on a daily basis towards Britain and the attacks stopped only once the Allies managed to overrun and capture the launch sites. The Nazis built nearly 10,000 of these destructive weapons. But the fact was, only 25% of these missiles managed to hit their targets. An effective combination of Anti-Aircraft guns, barrage balloons, and fighter aircraft worked in coordination to shoot them down. The V1 was launched from a steam catapult and has the distinction of being the first air-launched cruise missile as well, and the trend of air-launched cruise missiles continues even today due to its effectiveness. The He-111 bomber served as a launch platform for the launch of V1s from the air. 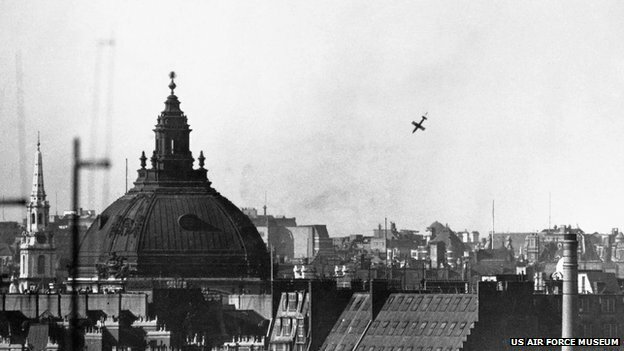 The British faced a severe problem when the V1 started falling. They thought that it would be easy to intercept these missiles once they entered British airspace as they employed a combination of fighters and anti-aircraft guns to shoot down these missiles, but it proved to be a great problem as the V1 flew at an altitude of 600-900m which was just out of effective reach of the light anti-aircraft guns and just below the minimum optimum range of the heavy anti-aircraft guns. The British countered this problem with new electronic technology. The Anti-aircraft shells were fitted with a proximity fuse and the guns were directed by fire control radars. A proximity fuse is a small radio transmitter fitted at the tip of the shell which senses an object close to it and explodes, preferably near a target. Fire control radars helped to direct these shells effectively to the incoming V1s and thus the British were able to rapidly increase the number of V1s they could shoot down. The radar had once again saved Britain. 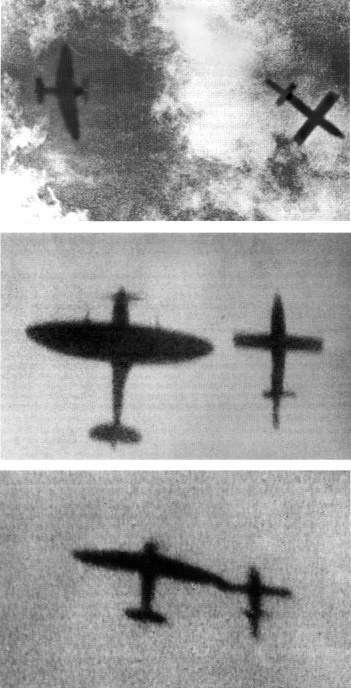 There was this other interesting method which Britain used, to intercept the V1s. It was in a way, daring and dangerous and involved making actual physical contact with the airborne missile. The RAF Spitfires would fly alongside the missile and level with the V1s wings. Then the pilot would maneuver the wingtip of his fighter under the wingtip of the V1 and make a slight roll movement with his plane so that the V1 lost its current course and toppled into the countryside. This method was employed due to a peculiar problem with shooting it down. The V1 had a sheet steel skin which rendered machine gunfire from aircraft useless. So the fighters had to use cannons to shoot it down. If these cannon shells managed to explode the warhead of the V1, then the resulting explosion would destroy the plane if it was anywhere near, and almost always the fighters were close enough to suffer the fallout of a mid-air V1 explosion. The toppling method worked quite well if the missile was toppled harmlessly into an empty countryside or the sea. The V2 has the distinction of being the world’s first operational, long-range ballistic missile. It was also a part of the Nazi campaign to bomb Britain in retaliation for bombing Germany. It had a range of 320 km and traveled at 5 times the speed of sound in its trajectory and dropped to earth at nearly 3 times the speed of sound, from an altitude of 100km. It carried a 1000 kg warhead which was similar to the warhead of the V1. The V2 made use of a gyroscopic guidance system, but the later versions used radio guidance where the missiles flew along a radio guidance beam transmitted from the ground. 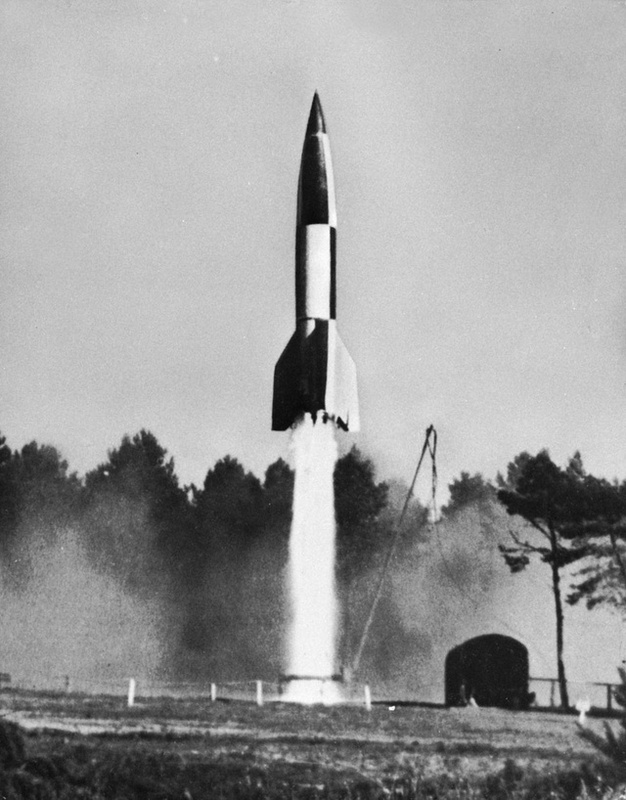 The V2 is also the first manmade object to reach the fringe of space. Around 6000 V2s were built and 3200 were launched. Some of its main targets were London and Antwerp. But the guidance system of the V2 wasn’t accurate enough to hit specific targets and could only be targeted at a city in general. The V2 also lacked a proximity fuse which meant that it couldn’t be set to explode in an airburst mode. Instead, the V2 fell to the ground and buried itself due to the impact before exploding, which reduced its effectiveness. Unlike the V1, there was absolutely no way to shoot down a V2. The British evaluated all possible measures to reduce the missile attacks which were causing a large number of civilian casualties. They resorted to brain power instead of muscle power. 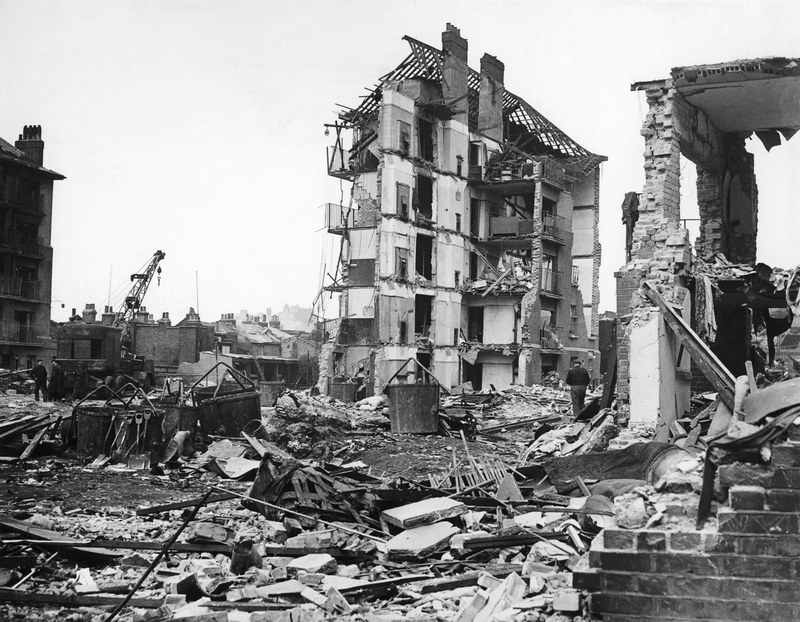 The intelligence service leaked out falsified information that the V2s were missing London by several kilometers when they were, in fact, falling on London. The Germans, who got this information thought that it was the truth and readjusted the course of the V2. The new course of the V2 caused it to fall on lightly populated territories instead of the densely populated London. This sort of deception by MI5 using double-cross agents continued throughout the war and hundreds of V1s and V2s were directed towards sparsely populated areas and away from London. The design of the V2 was so good that almost all missiles for the next few decades were derivatives of the V2 with extended ranges and nuclear warheads. 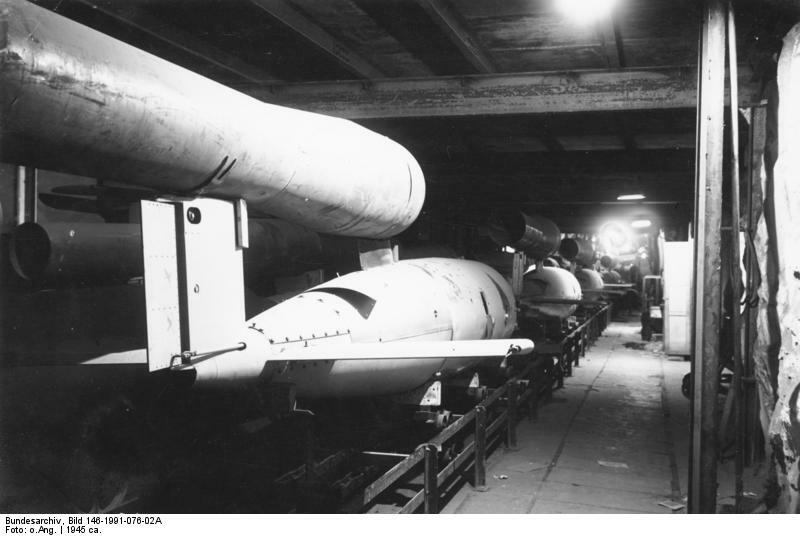 Hitler also had a plan to use the V2 against the USA by towing cannisterized V2s in a modified submarine and the missile was also tested successfully. 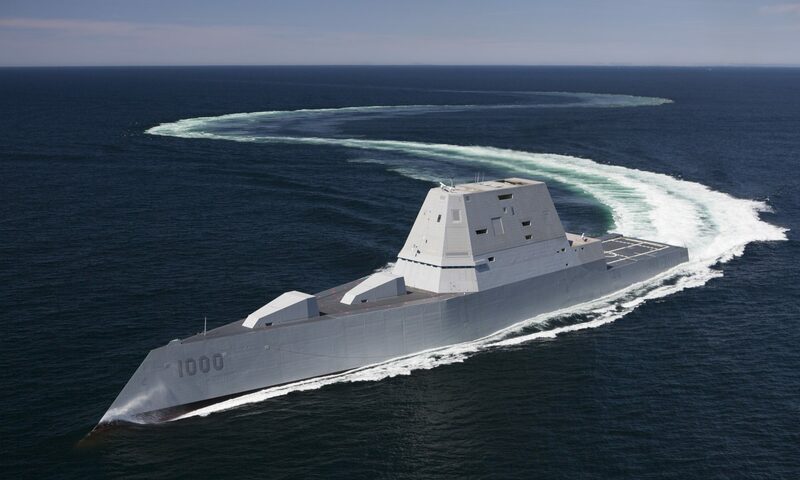 If this had been successfully deployed, it would have resulted in the development of the world’s first ballistic missile submarine during WW2 itself and it would have inflicted the first bit of damage on mainland America. 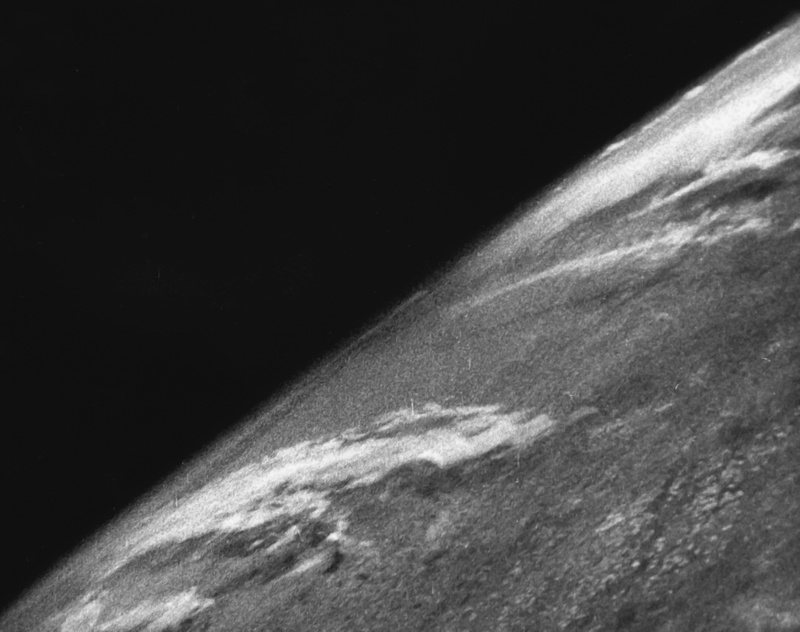 Another interesting bit of information is that the first photo from space was taken by a V2 launched by US scientists in 1946. The development of the V1 and V2 was to bomb Britain into submission ad terrorize the allies, but it did not work out according to Hitler’s plan. Most of the missiles either hit the wrong targets, fell in empty lands or were shot down, thus reducing its impact in the war. It was iconic in many ways. There was a mad rush post the war to grab the technology left by the Germans. The scientists became very valuable to the Soviets and the Americans. Most of the scientists who worked on the V1 and V2 were taken in by the Americans to work on their weapon and space programs. The space missions, the moon landing and the development of ICBMs were possible thanks to the involvement of the Germans scientists like Von Braun. This helped NASA to become the global leader in space exploration. The scientists taken in by the Russians helped in the development of the formidable Russian cruise missile industry which remains the best in the world even today. What was started by Hitler to destroy and demoralize his enemies, ended up booming space exploration and starting an era where missiles ruled wars. Enjoyed reading the article ? 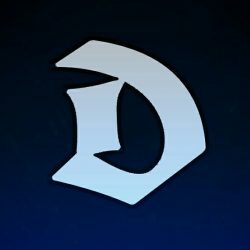 Do rate it below. why BMD technology is still not very successful even when countries have devised effective anti-aircraft and anti-cruise missile systems…..If they could shoot down a cruise missile unpredictable trajectory effectively….why cant they shoot a ballistic missile with a very much predictable trajectory?? 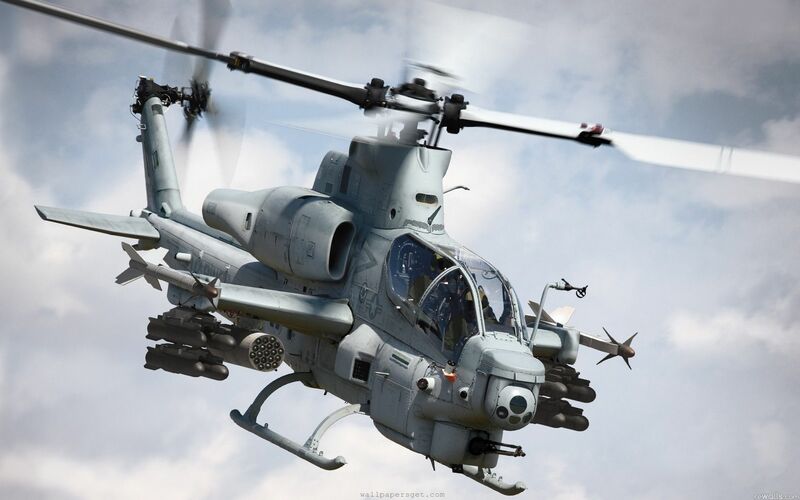 okay….one more thing…why heavy anti-aircraft guns have a minimum optimum range? Are their shells timed to explode after covering a certain distance only? Is it the explosion fallout that is likely to hit the target or they are just like hitting a target with a stone? Nice article. and the toppling method is impressive. Previous PostPrevious INS Vikramaditya : The King of The Indian Ocean ?